Prime Time Sports Talk | Leandre: Could the Bruins Bring Back Tyler Seguin? Leandre: Could the Bruins Bring Back Tyler Seguin? Tyler Seguin warms up prior to a home game for the Dallas Stars (Photo Credit: NHL.com). In what would be the epitome of a ‘circle of life’ scenario, the Boston Bruins are once again in a position to have Tyler Seguin on their roster. Having dealt the superstar goal scorer following the 2013 Stanley Cup Finals, the Bruins have since added elite goal-scoring talent in right winger David Pastrnak. However, despite Pastrnak’s emergence, as well as Brad Marchand developing into one of the best goal-scorers in all of hockey, the Bruins have had spells where they struggle to put goals up on the board. Now in the final season of his five-year extension, and the Stars not necessarily vying for a Stanley Cup title, the future of the 26-year-old in Dallas is in jeopardy. Whether that be via trade this season, or next offseason, it appears as though this could very well be Tyler Seguin’s last season in Texas. Being linked to marquee trade targets for a few seasons now, the Bruins’ biggest acquisition has been Rick Nash, who came in and contributed in spurts but never added the consistent production the Bruins needed in order to compete with the likes of Tampa Bay. A young roster that has even more bubble talent down in the organization, the Bruins have a surplus of prospects that can be made available in a trade for any elite-level player, so it’s almost a no-brainer that Seguin should be on Don Sweeney’s radar. Boston isn’t necessarily the most flexible team in terms of finances, as contracts like David Krejci and David Backes take up a solid chunk of the Bruins payroll. This was made clear during the recruitment for ex-Islanders forward, John Tavares, where it was reported one of those two needed to be moved in order to pay the $10+ million it would cost to get game changer. This means that one of them would have to be moved in order to bring in Seguin. 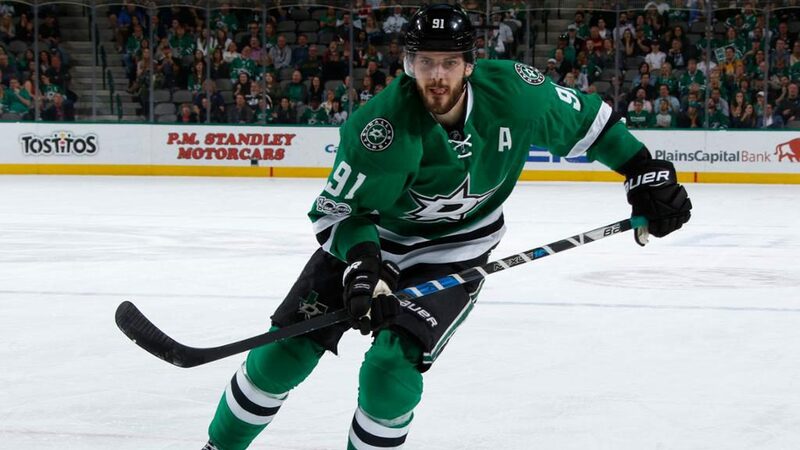 So what would a potential trade for Tyler Seguin look like? As for why this is a good trade for the Bruins: They remove a pretty bad contract in Backes. While Backes has been a solid player in his two previous seasons in Boston, he simply hasn’t been worth his $6 million AAV. On top of that, a couple of young players are blocked within the organization, and will likely sign elsewhere when their contracts are up due to limited playing time. So it’s best they get something in return for the young talent. Oh, and they’d be acquiring a man who has averaged over 30 goals since he became a member of the Stars. As for why this is a good trade for Dallas: The Stars would be getting a solid haul in return for a potential rental player. Two young forwards and a great veteran presence, on top of adding another draft pick could be a great return for a team who needs to shake things up this year.